Wedgie's wonderful world: Its all about the Doggies! How are you today, happy hump day! 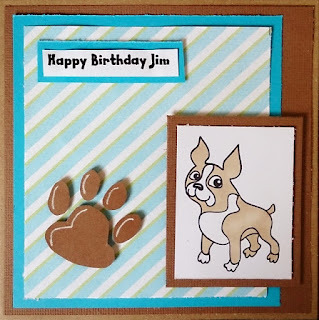 I thought I'd share a quick Birthday card with you that I made for my brother-in-law Jim. 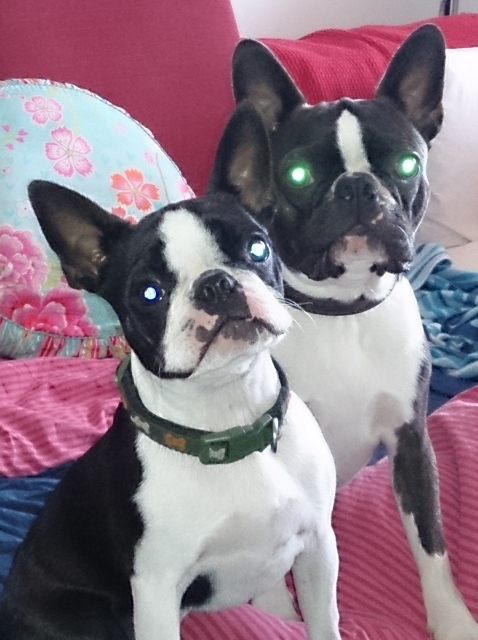 As you may know Jim and my sister Lorna are the proud owners of two rather lovely Boston Terriers called Barry and Gerty. I've gone with a masculine brown and blue colour combo, colouring my image with my Promarkers. I've also added a little paw print embellishment from brown paper. I'm really pleased with how this card turned out. Pop by all these fab challenge blogs to see the gorgeous masculine DT cards that have been created this week! He's going to love this card, especially because he knows you know how special the dogs are to him. The card is super cute and so are the fur babies. Love the papers and image. 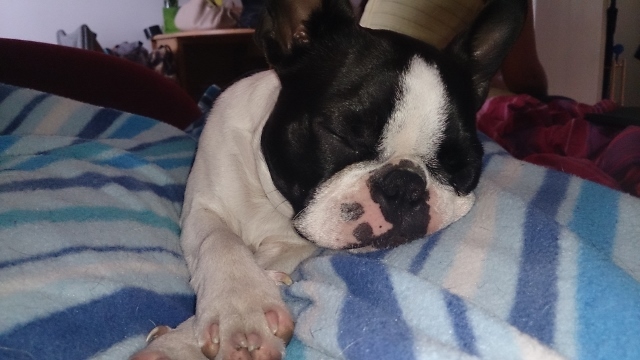 Nice pics of the dogs,very cute. Oh this is so cute!! I love the dogs ... Many thanks for playing at CCCB! So cute, the card and the dogs hehe! Lovely card, Wedgie! Those doggies are gorgeous!!! Very cute, thanks for playing along with us at CCCB! Jim sure will love his Birthday card Wedgie and I love Jim's two fur babies !! Super cute !! Thanks so much for joining us this week at Crafty Sentiments Designs !! Fab card. Love the paw print.